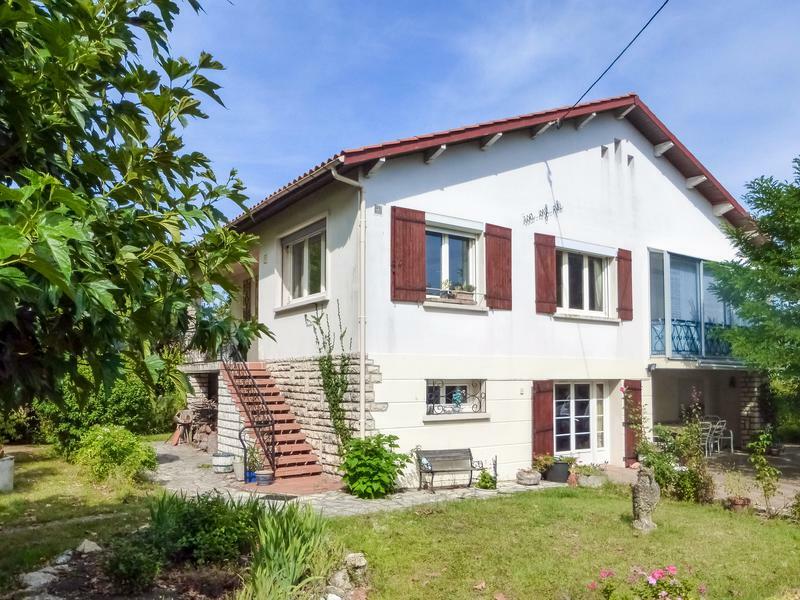 This house for sale is located on the outskirts of the beautiful village of Cancon, Lot et Garonne, Aquitaine France. 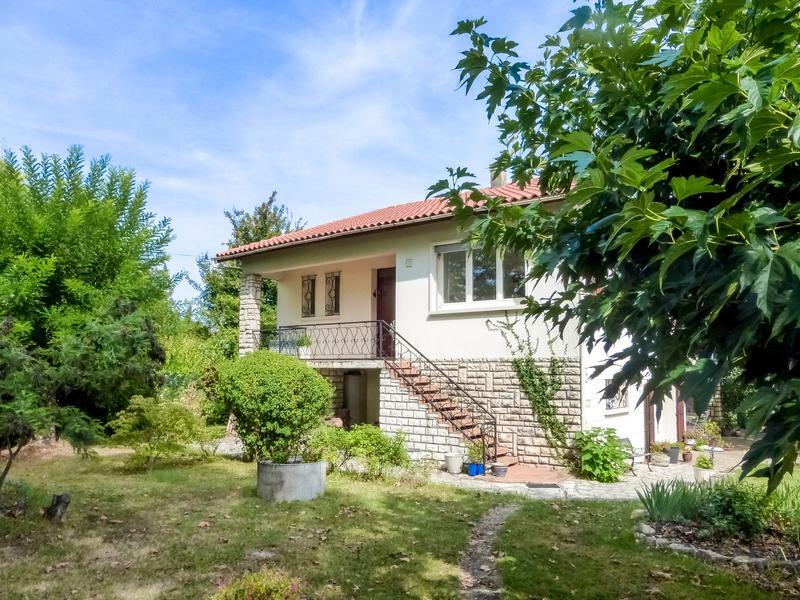 This light spacious property can be divided into 2 independent apartments and is set on a large garden with wonderful views of the countryside. The property has been well maintained and there is scope for 2 independent living areas with a fully-equipped 2-bedroom apartment on each floor, with interior staircase. Energy bills can be kept to a minimum with this well insulated house and it has also got oil central heating and double glazing to keep you warm all year round. It is at a convenient location on a quiet street on the edge of Cancon with shops, restaurants and lots of social activities. Set in a large garden with beautiful mature trees, this is a lovely spacious property. It has been well-maintained by the current owners, who have invested in a new roof 2010, a new boiler 2015 and a new water heater 2015. Each apartment has a separate entrance and can be used independently as guest accommodation or to generate income. On the first floor are 2 balconies, 1 double-glazed, to sit and enjoy the sunshine, whether winter or summer. This is an ideal family home or an easily maintained holiday home, on Mains Drainage! Bergerac airport is only 40 minutes’ drive and Bordeaux are 2 hours away. Fully-fitted kitchen(10m²) with all white goods included. Dining/Living room(35m²) with French windows to gardens. Entrance door from large balcony. Salon (35m²) with insert wood burner, tiled floor. There are doors that lead to the Veranda (5.5m x1.87m) and all double glazed. Dining room (13m²) parquet floor. Bathroom (6m²) bath, shower, double washbasins, bidet. Bedroom 3 (13m²) with parquet floor and fitted wardrobes. Bedroom 4 (12m²) parquet floor, views to garden. Heating: Oil central Heating. Wood burner insert. Double-glazing throughout. Outside: 2 balconies. Covered terrace. Open Terrace in garden. Garage (32m²). Workshop/ storeroom. Garden shed. Flyscreen’s, some electric shutters. - Peaceful location, yet close to shops.